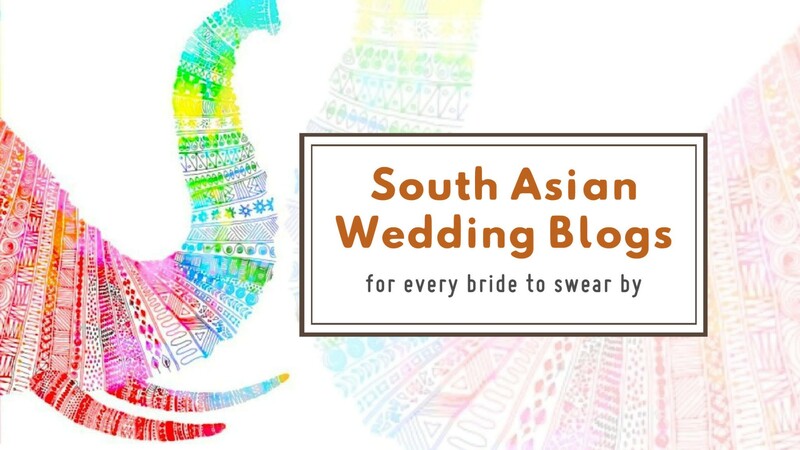 South Asian Wedding blogs for every bride to swear by! As promised we have got the part two of our story Wedding Blogs for every bride to swear by, because we were clearly not done yet. This one we have specially curated for you our fellow South Asian lovelies, we hope you enjoy reading them as much as we do. Say Shaadi was founded with the idea to solve the huge problem of the un-organized Indian wedding industry today via web technology. Given that the blog is just two years old, it is an encyclopedia of every wedding supplier you could think of. It definitely tops our list for the South Asian Weddings, as this is the most comprehensive and sophisticated one. The blog is a blessing for every to-be-wed planning a wedding in India. We love this blog for it is user friendly and intuitive and for the supplier listings. It is the quintessential guide for the south Asian bride based in US, UK, Canada or Australia. Extremely resourceful with its storehouse of information on wedding vendors, from wedding planners to designers to makeup artists to photographers and more, categorically designed for a South Asian bride. The Delhi Bride is your go-to-bride for any query especially for Delhi/NCR. The USP of this blog is her unbiased review of all suppliers in her signature style. Simply put she is the best virtual maid-of-honor you could ask for. She is so humble, affectionate and empathetic that she would answer all of your zillion queries. She is also your go-to-blog for all the updates on flash sales. We know you love her already! Maharani Weddings is a US based blog is a virtual celebration of big fat Indian weddings. It is a store house of ideas and inspirations exclusively for South Asian brides. It basically targets Indian brides and couples who are looking to get married in US, UK or Canada. They also have a huge directory of vendors and suppliers from the industry. The Unreal Bride is the blog where quality trumps quantity. They don’t do their posts too frequently but when they do you know you want to read them. They are wedding photography and styling experts. The blog has evolved to be a great wedding resource over the last few years. Definitely deserves to be on your reading list. UK based blog that proffers Asian Wedding related content. The bridal fashion wear gets special attention here, so for all your trousseau based queries head to this one. We also like to scroll through the delightful fusion real wedding stories on the blog. WedMeGood is the new favorite with almost every wedding connoisseur, though they have been around for a while with their earlier venture Peaches and Blush. It is a great collection of real wedding stories. This blog is your dose of the tidbits of weddings back home in India. Just about everything wedding related info you is dished out in a fun, entertaining and inspirational way! A blog that celebrates multicultural and fusion weddings. The tips, advices and candid posts are delightfully refreshing and insightful, especially a must read if yours too is a multicultural wedding. Love is far and beyond any labels, and the real wedding stories featured here are a testimony to that. We promise you will like it here scrolling through the lovely stories. Wedding Sutra is Weddingpedia for Indians around the world. A great forum to review the vendor real time as you can always check the recommendations on real weddings. From how a bride planned her wedding to luxury hotel for your honeymoon to real weddings to almost everything thing wedding related. You just got to bookmark this one. Whether you are about to plan your special day or you just love all things wedding-y as we do, these blogs, including ours of course ;), will definitely add on that tinge of happiness and keep the inspiration going.